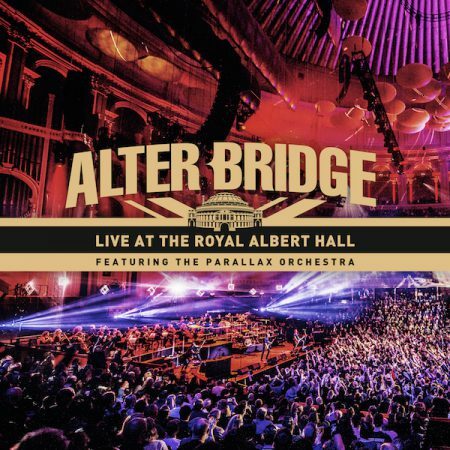 Recorded over the course of two sold-out shows at London’s legendary Royal Albert Hall back in October of 2017, hard rock mainstays Alter Bridge have released their latest live album, out September 7, aptly titled Live At The Royal Albert Hall, through Napalm Records. And although it’s not the first recording of its kind for the Orlando, Florida-bred quartet, this one has a unique hook, in the form of a few extra backing musicians – 52 of them, to be exact. The Parallax Orchestra, led by conductor Simon Dobson, joined the band for the extra-special performances, adding another dimension to the already-talented act, created from the ashes of the late 1990s/early 2000s post-grunge group Creed. 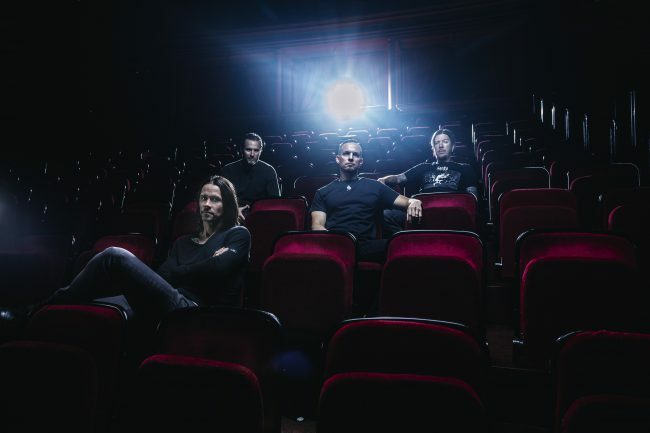 Surprisingly, founder and lead guitarist Mark Tremonti, drummer Scott Phillips, and bassist Brian Marshall, were completely in their element playing with the majestic ensemble, and the result was a symphonic explosion of grandiose harmonies and melodies. At the forefront was powerhouse lead singer Myles Kennedy, currently best known for his work with Slash in Myles Kennedy and the Conspirators, whose hypnotic vocals stunningly came to life layered with the classically trained players. The set consists of an auspicious mix of hits and rarities spanning all five of the band’s studio discs, from their blazing debut effort, One Day Remains (“Open Your Eyes,” “Broken Wings“) all the way to their last offering, 2016’s The Last Hero (“This Side Of Fate,” “The Writing On The Wall“). Particular standouts include “Ghost Of Days Gone By,” as its bombastic nature braided beautifully in the orchestral setting, “Before Tomorrow Comes,” which especially accentuated Kennedy’s unmistakable pipes, and the lengthy “Blackbird,” perhaps the group’s most challenging piece, with epic dual solos by Tremonti and Kennedy acting as a perfect complement to the instrumental bliss executed by the dozens of guest virtuosos. Available in a plethora of formats, including CD, Vinyl, Blu-Ray, and DVD, ardent fans would be advised to grab one of the visual configurations, as they include bonus content – most notably an exclusive behind-the-scenes documentary featuring interviews with everyone involved on how this ambitious project came to fruition. Click here to purchase Live At The Royal Albert Hall.